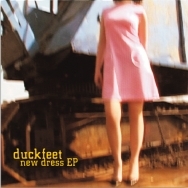 Duckfeet are an Alt/Psyche band from Southampton, UK. We play country tinged, catchy songs. Lallie sings, Pete twangs his guitar, Steve writes most of the songs, Jonny and Dom do the rest. Our influences include: Rilo Kiley, St Etienne, The Shins, The Grateful Dead, Laura Cantrell and many others.